As luxury watch brand Philip Stein expands into 25 countries, one may be surprised to learn that the largest market for the brand outside of the United States is the island nation of the Philippines. The owner of the company, Will Stein, paid a visit to the country in 2007 and came back the next year to open the brand’s first global boutique in Pasig City. Filipina actress Kim Chiu has also appeared in several ads for Philip Stein. Joined by Filipino television personality Kris Aquino, Will Stein endorsed the “Feel It- Project Red Cross” project at the opening of the new store at The Podium. This campaign benefits the Philippine National Red Cross (PNRC) and their blood services program, as Stein has long harbored a desire to give back to the Filipino people. At the event, Stein met with Lucerne Group managing directors Ivan Yao and Emerson Yao, all noting the sizable crowd of the brand’s fans waiting for the boutique’s grand opening. Lucerne Group exclusively distributes Philip Stein watches. The president of the company then presented a P1 million check for the PNRC to Rosa Rosal, a dedicated PNRC member on the Board of Governors. Rosal gratefully accepted the donation, adding that the generous amount would surely help the foundation buy a platelet incubator. The blood services program has run since 1948 to promote giving safe blood to those in need. The heads of product management and marketing and sales at Metrobank, Peaches Cuenco and Butch Reyes, also made an appearance at the event. It was announced that cardholders of Metrobank credit would receive zero interest for a year with the purchase of a limited edition Philip Stein “Red” watch. 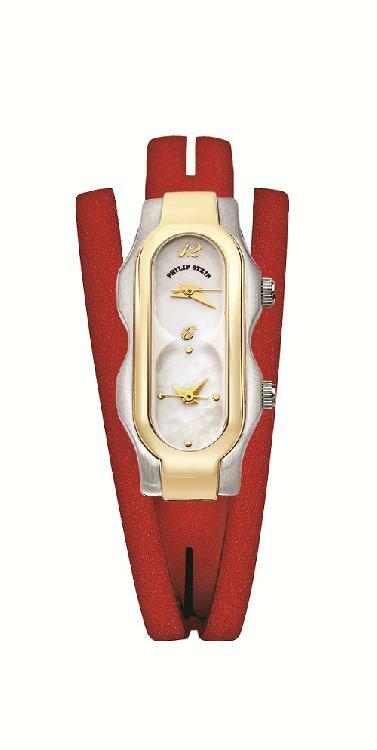 The line of “Red” watches was created solely to benefit the “Feel It” project, with the company donating part of the proceeds to the PNRC. Philip Stein collaborated with Kris Aquino to produce this special “Red” line, creating only 440 models total: 200 in large cases and 200 in small cases, all at the price of P30,000; the remaining 40 watches were sold at the price of P70,000, made in large cases with diamond indexes and with a dial featuring the letter “K”. Ever since his first visit to the Philippines in 2007, Stein was moved by the country’s poverty level and wanted to take action. It seems that he has since taken significant steps toward his goal. ““We fully support the PNRC in providing quality life-saving services that protect the life and the dignity of everyone,” he said. Experiencing sleepless nights or just mentally frazzled? Purchase a refreshing Philip Stein Fruitz watch and you’ll increase your chances of a good night’s sleep and/or feel yourself do a mental 180. That’s right Philip Stein designs watches that help you sleep and/or lift you out of a mental illness state. Believe it or not an actual clinical sleep study was conducted and findings were published in Sleep Diagnosis and Therapy Journal (2001; V5 N5, 27-9 Breus and Rubik). The random study, performed by Michael J. Breus, PhD, found that participant that wore Philip Stein watches that had Natural Frequency Technology experienced improved sleep; and there are numbers that support these findings. What exactly is this Natural Frequency Technology? How does it help those suffering with sleepless nights or mental illness? Philip Stein integrates the use of key frequencies which are beneficial to life and health, which they embed upon a metal disk and place inside their watches – their proprietary Natural Frequency Technology. This key frequency is the same frequency that is tied to earth’s harmony and grounding of life. The same harmony we experience when in relaxed and unstressed states. Our bodies produce its own natural bio-field which is often bombarded by electromagnetic fields (EMFs) factors. Examples of such factors that emit EMFs are computers, electric razors, alarm clocks, kitchen appliances, hair dryers and of course cell phones. The impact on our bodies after long term exposure to EMFs can result in illnesses like anxiety, hypertension, and migraine headaches and yes even sleep disturbances. Philip Stein collection of Fruitz timepieces is exactly what the doctor ordered for both the body and the mind. These vibrant and colorful watches are so delectable you may be tempted to take a bite, but don’t it’s a watch! You really must try at least one of these fabulous Fruitz timepieces…they are indeed colorfully sweet and adorably delish! The Peace Love collection is especially committed to breaking the stigma associated with mental illness. A group of community artist collaborated on this limited edition of Fruitz watches for Philip Stein. Profits from this collection are donated (10 percent) to help individuals suffering with mental illness acquire needed healthcare and treatment. This is definitely the kind of Fruitz you’ll want to purchase because it really does restore the body and the mind all while looking fabulously stylish! Sleep with a Philip Stein Watch and Feel Better! Who thought sleeping with your watch on could make you feel better? So studies show that the Philip Stein watch with natural Frequency Technology does provide a healthier sleep. 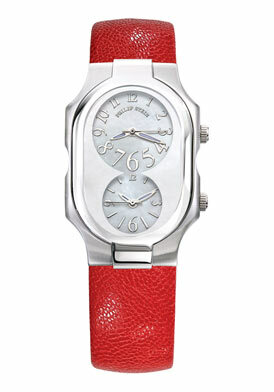 Philip Stein luxury watches was founded in 2002 by husband and wife, Will and Rina Stein. Their combined business and watch designer knowledge led to the development and success of the Philip Stein brand. After discovering that natural frequencies had positive health properties, they decided to be the first to introduce a luxury watch that featured frequency-based technology. So, what is frequency-based technology? Frequency technology was discovered in 1986 by a group of scientists who went on to patent the technology into a “TESLAR chip.” What these chips do is emit a signal that can make the body’s natural defenses stronger through a type of collaboration with its natural electromagnetic energy field. One study by Dr. Anthony Scott-Morley showed that the presence of a “TESLAR chip” allowed the body to obstruct ambient signals within the surrounding environment. Test results of the chip on patients showed positive results in the health field including improvement of sleep and reduction of the effects of stress. Also, the chip showed signs of reducing electronic pollution such as the use of a cell phone. With this knowledge at hand, the Steins worked to combine a luxury watch that could affect the well-being of a person. Not long after launching their brand, testimonials soon poured in about the positive effects of wearing a Philip Stein watch. What really gave the Steins a major push into the commercial world was an endorsement by Oprah Winfrey who was gifted with a Philip Stein watch by Madonna. 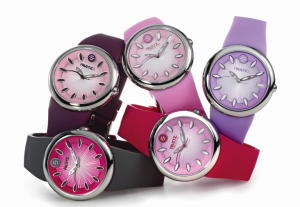 You can choose by dial color, single or double case, diamond or no diamond case or dial, and interchangeable straps. We should thank the Steins. What other watch company has taken such steps to promote well-being and health? Who doesn’t want to be more resistant to stress and sleep better? There’s never been a better reason to wear a Philip Stein watch. Posted on February 9, 2012 October 30, 2014 Author Luxury Watch ReporterCategories Celebrity News, Luxury Watches, Mens Watches, Modern Watches, New Designer Collections, Philip Stein Watches, Watch Design, Watches, watches sale, Womens WatchesTags Authentic Watches, Designer Watches, Luxury Watches, men's luxury watches, Mens Watches, Philip Stein Watches, Watches, women's luxury watches, Womens WatchesLeave a comment on Sleep with a Philip Stein Watch and Feel Better! Designed with Philip Stein natural frequency technology, the Fruitz collection of popular timepieces not only looks like an assortment of tasty treats, but also have the ability to benefit life and health. Created in 2007, the Philip Stein Fruitz collection was coined to design colorful, fun-wearing and fashionable watches that could improve one’s lifestyle through the use of natural frequency technology. Within each watch, natural frequencies generated by Earth are embedded on a metal disk. When worn, human energy fields react with these key frequencies, promoting a healthier lifestyle. The timepieces have been known to stimulate better sleeping habits, reduce stress and anxiety, improve focus and induce relaxation. “This is life-changing technology – a natural approach to improved well-being that is backed up by scientific evidence,” said Will Stein, co-founder and president of Philip Stein. In a study conducted in Sleep Diagnosis and Therapy Journal, men and women who reportedly lacked sufficient sleeping habits for at least three consecutive months were given a device containing the natural frequency technology. 96 percent of the participants responded with positive feedback – nearly half of the subjects reported feeling more refreshed, falling asleep more quickly, sleeping longer and having more pleasing dreams. KCTV 5 News It’s Your Morning, Kansas City’s CBS affiliate, featured the Fruitz watches in a segment about the health and safety of children. Candy Tai, a parenting expert, suggested that the watches would be great for children, as they help to reduce and control anxiety levels. “The Fruitz watch is really a cool concept; it’s actually got a natural frequency technology … so it helps calm and reduce stress levels within kids,” said Tai. Fruitz watches have also been noted as to helping with school-related stress. “Watches like Philip Stein have low level healing frequencies that will increase you and your child’s resonating frequencies (electrical impulses of the body) which can make you both more resilient to the stress associated with school and life in general,” Blogger Mom Stephanie Elliot said. 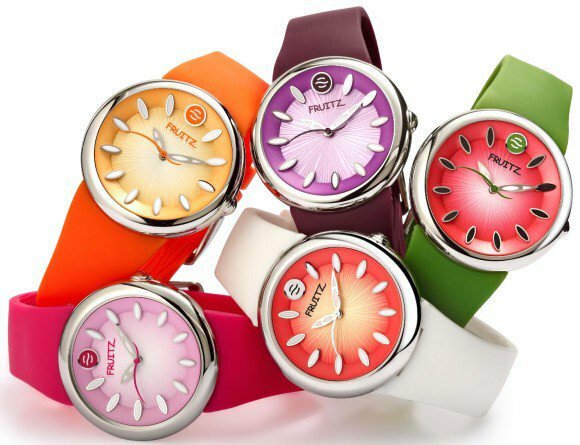 Aside from benefiting life and health, Fruitz watches are chic and trendy – designed to represent fruit, frozen desserts and popular drinks. All of the timepieces feature a smooth, silicone strap, stainless steel case and laser-cut sun burst pattern dial. The indexes on the watch symbolize fruit seeds, while the hands depict the leaves of a fruit. The stylish timepieces are even popular among celebrities, including Reese Witherspoon, Jennifer Garner, Tyra Banks, Dakota Fanning and Selena Gomez. As it looks fashionable and holds the ability to strengthen and improve one’s overall lifestyle, people have praised the Philip Stein Fruitz watch collection. Clearly, it must be worth the time. The holidays are finally over. For all you lovebirds, however, the Valentine’s Day shopping season is right around the corner. Luckily, Philip Stein watch company is celebrating Valentine’s Day this year with a very unique collection. The shimmering capstone of this achievement is the Women’s Valentine’s Day watch, an alluring and multi-faceted timepiece. 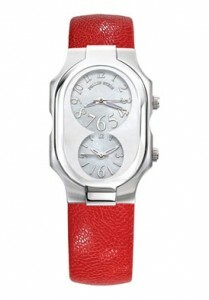 Its scarlet strap and elegant watch face give it an amorous appeal. Its chic fit around the wrist can complement any wardrobe as the perfect accessory. Philip Stein’s Valentine’s Day watch represents passion – a very proper manifestation of expressing love for the special woman in your life. Its style tells her that she’s classy and beautiful, and its uniquely embedded Natural Frequency Technology distinguishes it from being just another aesthetically pleasing timepiece. Philip Stein’s Valentine’s Day Watch. It’s simple, yet unique. An exceptional watch for an exceptional woman. The Valentine’s Day timepiece is being sold mainly from Dubai and Abu Dhabi at the relatively low price of $830! 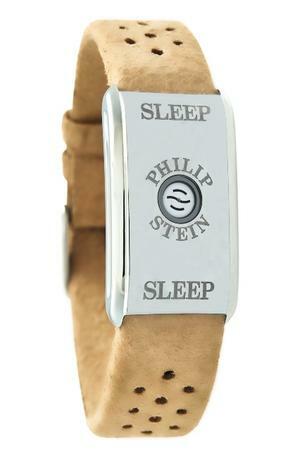 Another very cool item in Philip Stein’s collection is the Sleep Bracelet. The Natural Frequency Technology in this bracelet helps calm your body for better rest at night. According to Philip Stein, “the wearer’s bio-field is exposed to the most restful and calming frequencies.” In plain English, this item balances your sleep and wake patterns and has been raved about by customers. Wearers report “deeper, longer sleep and more pleasant and vivid dreams.” Sounds like something out of the future! The Sleep Bracelet is made of steel and leather and comes standard with a 2 year warranty. It is a small 24cm in length and 2cm in width. Its super soft material and perforated strap allow for a loose feel, and minimize sweating. The Sleep Bracelet is a hot item, again, at a lower price. 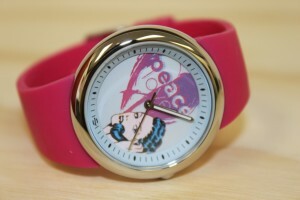 It’s being sold in the same collection as the Valentine’s Day watch, mainly out of the United Arab Emirates. It can be purchased, however, through online sites as well. It is roughly $350 – a steal considering all of its perks! Whether you’re treating yourself or pampering a loved one, Philip Stein’s Valentine’s Day Collection is a great start to a new year!